Betty Barkha Won't Stop Talking About Climate Change, Even When Her Mom Tells Her Enough Already! 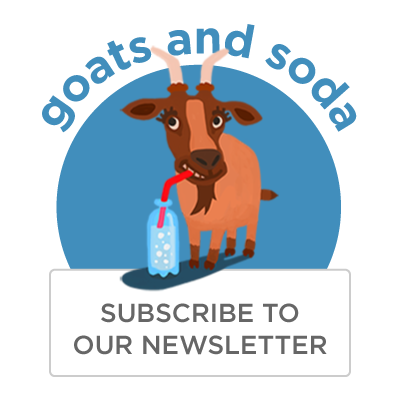 : Goats and Soda Betty Barkha is from Fiji, where rising sea levels and record cyclones are rattling the populace. Betty Barkha is an eco-activist from Fiji. Climate change is a global issue. But for Betty Barkha, it's personal. 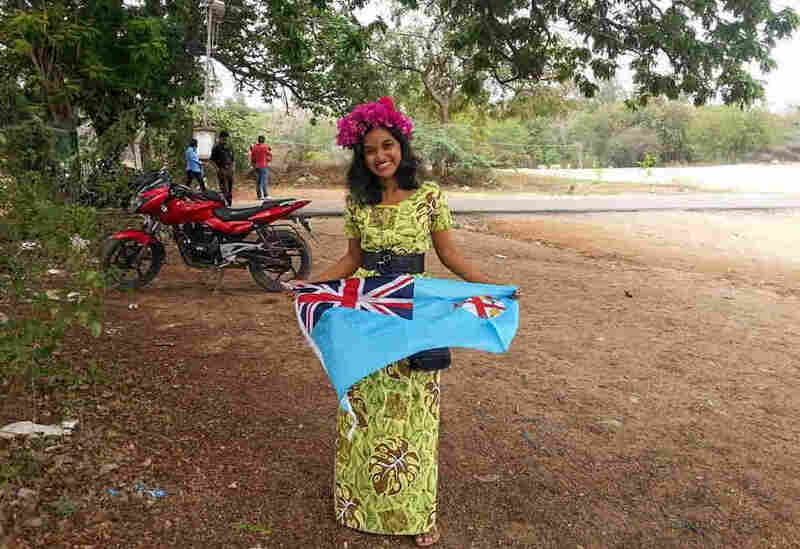 The 25-year-old grew up in the city of Lautoka in Fiji, a couple of minutes from the Pacific, amid the fish markets and flocks of tourists roasting on the beach. The government of Fiji said in a policy report issued in 2012 that the island nation is recording more storms, less rain, higher temperatures and rising sea levels. Barkha's favorite childhood picnic spot on the beach is now perpetually under water. And just three months ago, Fiji was rattled by Cyclone Winston, one of the strongest storms ever recorded in the Southern Hemisphere. Dozens of people died, and thousands lost their homes. Barkha's parents were caught in the floods while buying supplies. "The science proves it," Barkha says of climate change. "But I can see it everywhere." She made that comment in Copenhagen last month, where she was chosen as one of the youth leaders at Women Deliver, the largest conference on women's rights. Barkha was in Chiang Mai, Thailand, where she currently works, when the cyclone struck. She waited by her phone for hours in a panic about her parents. Luckily, they found refuge at a relative's home. The next day, Barkha's brother was able to get temporary cellphone reception and send her a message. "I think my parents used to have a sense of security that our city doesn't get flooded," she says. "Now they want to keep enough food for six months in the house." Barkha is on the staff of a nonprofit called the Asia Pacific Forum on Women, Law and Development. She researches climate resilience, looking at how communities adapt or protect themselves in the face of a turbulent environment. She travels to indigenous Fijian villages to gather information and find out how the residents cope with natural disasters. At one meeting, the women shared their concerns about stockpiling enough food and supplies in case cyclones strike. The men, who previously hadn't been worried, promised to help the women gather and store wood and food. In the face of rising tides, Barkha says Fijians are nervous. But there's also a sense of resignation — perhaps a result of the laid-back island culture. She met a fisherwoman abandoned by her husband and left to feed and raise three children. When Barkha talked to her about relocating inland, the woman smiled and said she had no intention of leaving. "She's like, 'I don't have to move. If the ocean has to take me, it will take me.' " Barkha says. The Fijian government, meanwhile, is taking action. Two years ago, it started relocating villages from smaller islands and coasts to its inland valleys and hills. And last year, it was the first of 195 countries to approve a landmark United Nations climate pact calling for countries to cut back on their carbon emissions and adopt more sustainable energy and consumption practices. After the last cyclone, officials also promised to provide cyclone-proof homes to as many displaced families as possible. Despite its worries, Fiji is in a safer position than many of its low-lying neighbors. The island nation of Kiribati, about 2,100 miles away, is at high risk of being fully submerged in the coming decades. Its government just purchased land in Fiji for the eventual relocation of residents. The Maldives, off the coast of Sri Lanka and India, is also scoping out possible land on the mainland in case its own shores are submerged. Barkha says the shared threats have brought together a network of young climate change activists in the region. The Pacific Climate Warriors, for example, just made headlines for blocking a coal port in Australia to make a stand against fossil fuels. And the youth are calling for climate justice, partly a demand for rich, developed countries to help them survive. "Poor countries didn't contribute to those carbon emissions [that cause global warming]," Barkha says. "Our consumption levels are very sustainable." She plans to move back to Fiji in the next few months after she has a better plan for exactly how to work on climate change issues. In the future she wants to get involved with lawmaking and help her country better adapt and prepare for rising tides and displaced villages. While Barkha credits her parents for motivating her to stick to her cause, she says there are some things that never change. Like the way she feels when she visits the ocean. And her family dynamics. "My mom was planning a cruise for her 50th birthday and I was like, 'No mom, the islands are going down!' " Barkha says. But her mother says she was being dramatic, and tells Barkha: "Stop talking like an activist!" Ankita Rao is a producer at WNYC's health podcast, Only Human.